Now that the collective death of mankind has become a possibility, no other thought can remain unimpaired. 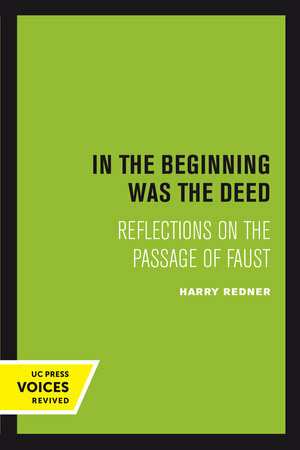 Harry Redner traces historically the onset of this acute state of Nihilism from what might be called the Faustian revolution, symbolized by Faust's pronouncement “In the beginning was the Deed.” Redner reflects on the passage of the three main Fausts, from Marlowe’s to Goethe’s to Thomas Mann’s, and this reflection serves as the dramatic metaphor for a review of the relationship of Progress to Nihilism in modern civilization. Starting with an exposition of the key Faustian thinkers—Marx, Nietzsche, Wittgenstein, and Heidegger—the book proceeds by examining the dominant modern ideas on Man, Time, and Nihilism with reference to Foucault, Derrida, and Althusser. It focuses on Language, which is a key preoccupation of all these thinkers but has not yet been taken far enough to afford a basis for the explanation of fundamental changes in civilization. Language in its creative and destructive functions, as constituting both the conscious and unconscious of a culture, is reconceived so as to account for the hidden link between Progress and Nihilism. The author then explores sociologically the dominant aspects of Progress in terms of the ideas of Weber, Adorno, and Marcuse on Technology, Subjectivity, and Activism. Finally, an extensive literary study of the three main Fausts concludes with a coda on the future of music. In the Beginning Was the Deed is lucid and direct, tinged with wry humor. Redner represent Man in the nuclear age and reflects on that representation, seeking to comprehend our era, draw ethical and political conclusions, and explore action as a response to the threat of annihilation. 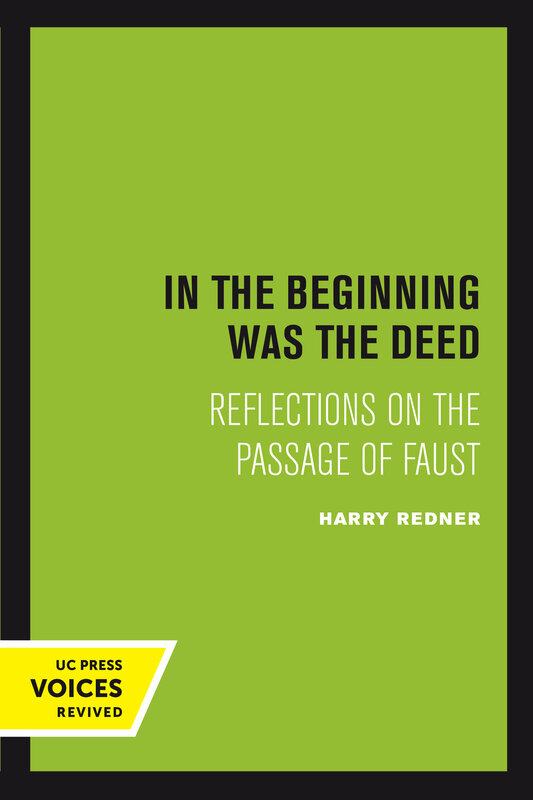 Harry Redner was Reader at Monash University and has been visiting professor at Yale University; the University of California, Berkeley; and Harvard University.